The concept of resurrection from the dead did not originate in the New Testament. 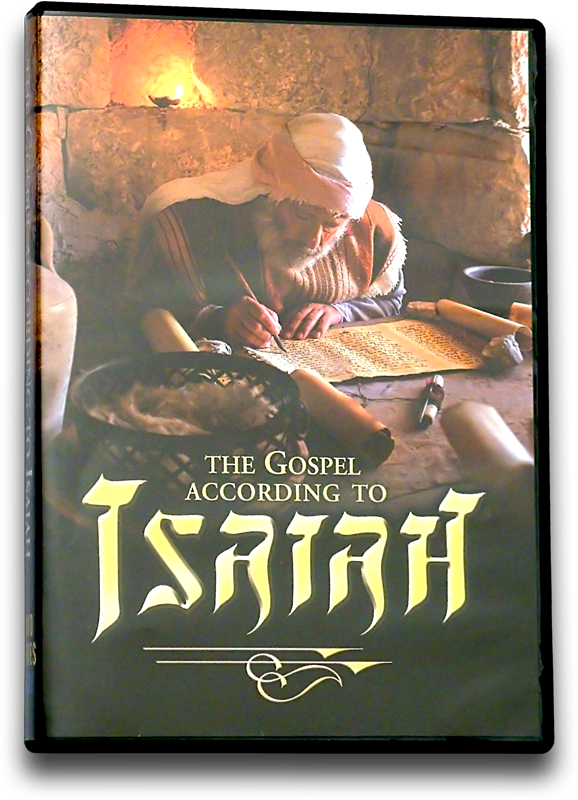 Jeff explains that Isaiah prophesied that Christ the Messiah would conquer death and the grave. Witness a celebration of Jesus’ miraculous fulfillment of prophecy at the Garden Tomb. In addition, Zola and Dr. Michael Wise discuss Messianic prophecy from the Dead Sea Scrolls. 00:12 HE IS DESPISED AND REJECTED OF MEN. 00:24 HE IS BROUGHT AS A LAMB TO THE SLAUGHTER. 00:35 FULFILLED IN THE LAMB OF GOD, JESUS. 00:46 WELL A HEARTY SHALOM TO ALL OF YOU. 00:51 SHALOM JEFF. HOW ARE YOU? 00:53 GOOD, AND WHAT DO WE HAVE ON THE MENU TODAY? 01:00 THE GOOD NEWS OF THE RESURRECTION OF OUR MESSIAH. 01:03 YES, AND WE'RE TEACHING IT FROM ISAIAH WHO LIVED SOME 700 YEARS BEFORE JESUS. 01:16 MESSIAH WOULD COME AND DIE ON THE CROSS, BE BURIED AND HE'D RISE AGAIN ON THE 3RD DAY. 01:21 AND WE'LL CONSIDER THAT AND MORE IN THIS PROGRAM WON'T WE? 01:29 WHO HATH BELIEVED OUR REPORT? AND TO WHOM IS THE ARM OF THE LORD REVEALED? 01:34 FOR HE WAS CUT OFF OUT OF THE LAND OFTHE LIVING. 01:41 WITH THE RICH IN HIS DEATH. 01:47 "AND THOU SHALT MAKE HIS SOUL AN OFFERING FOR SIN. 01:51 HE SHALL PROLONG HIS DAYS AND THE PLEASURE OF THE LORD SHALL PROSPER IN HIS HAND." 02:01 AND UP FROM THE GRAVE HE ROSE. 02:05 GOODNESS, IT'S SUCH A PLEASURE TO COME TO YOU FROM THE GARDEN TOMB IN JERUSALEM. 02:09 IF THERE'S A MORE PEACEFUL PLACE ON EARTH I DON'T KNOW WHERE IT IS. 02:22 HERE WE ARE IN THE CITY OF JERUSALEM WHERE THERE'S CALM, THERE'S PEACE, THE BIRDS CHIRP. 02:37 WHEN MARY CAME TO THE TOMB AMAZED TO DISCOVER THAT THE TOMB WAS EMPTY. 02:56 IS NOT AN EXCLUSIVELY NEW TESTAMENT NOTION. 03:14 THAT THERE'D BE A BURSTING FORTH OF NEW LIFE FROM DEATH. 03:27 AND I'LL DO THIS IN HEBREW AND THEN IN ENGLISH. 03:48 MY, HAVE WE HEARD THAT BEFORE? 03:55 WILL WIPE AWAY TEARS FROM OUR EYES WHEN LIFE RETURNS. 03:59 AND HERE WE HAVE IN THE 8TH CENTURY BC WHERE THIS GREAT PROPHET SAYS MUCH THE SAME. 04:06 AND WHEN IT COMES TO THE RESURRECTION OF THE DEAD HE'S EVEN MORE EXPLICIT. 04:11 IN THE 26TH CHAPTER HE SAYS. 04:38 VERY EXPLICIT IS IT NOT? FASCINATING. 04:48 WHO ENVISIONS A COMING BACK TO LIFE. 04:52 ARE NOT THE IMPLICATIONS OF THAT PROFOUND? 04:59 IS PARTICULARLY SIGNIFICANT AS WE'VE ALREADY CONSIDERED IN THIS SERIES. 05:11 FROM THAT MIRACULOUS BIRTH IS SOMETHING THAT'S TALKED ABOUT BY THE PROPHET ISAIAH. 05:18 IS A CONCEPT IN THE OLD TESTAMENT THAT WE GET WITH MOSES. 05:22 AND HERE A RESURRECTING TO LIFE ISN'T A CONCEPT THAT'S UNIQUE TO THE NEW TESTAMENT. 05:40 AND TO SHAME AND EVERLASTING CONTEMPT." 05:53 IN THE JEWISH BIBLE, COMING FROM JEWISH LITERATURE. 06:23 THAT THE MESSIAH IS GOING TO BE CUT OFF. 06:25 HE'S GOING TO BE A SACRIFICE FOR SINS. 06:28 HE'S GOING TO BEAR THE SINS OF MANY AND HE'S GOING TO BE GIVEN UP FOR DEAD, BETRAYED. 06:32 HE'LL BE DEPOSITED IN A RICH MAN'S TOMB. 06:37 AND HERE I AM IN FRONT OF JUST SUCH A PLACE, A BEAUTIFUL PLACE. 06:49 WHERE HE GAVE UP THE GHOST AND SAID "IT IS FINISHED." 06:52 WELL IT IS FINISHED BUT IT IS NOT QUITE FINISHED. 06:56 "HE GAVE HIS LIFE AND HE IS THE FIRST BORN OF MANY BRETHREN"
07:01 SAYS PAUL IN AS MUCH AS HE CAME TO LIFE. 07:05 THE UNDERSTANDING IS THOSE THAT RECEIVE HIM WALK IN THE NEWNESS OF LIFE. 07:09 AND THEN WE TOO ARE ONE DAY DEPOSITED IN THE EARTH TO RISE AGAIN. 07:16 WILL IT BE FROM THIS VERY PLACE FROM WHICH THE LORD HAD ARISEN SOME 2000 YEARS AGO? 07:28 IN SOME FORM, SOME FASHION AND SOME PLACE. 07:38 AND IT'S NOT JUST A PROMISE THAT IS FOUND IN THE PAGES OF THE NEW TESTAMENT. 07:55 AWAKE OH DWELLERS IN THE DUST." 08:23 WITH THE LATEST VIDEOS, BOOKS AND MUSIC. 08:31 READING PACKETS, TEACHING CASSETTES AND MAIL-IN TESTS. 08:38 OR THE HOLY LAND EXPERIENCE THEME PARK IN ORLAND, FLORIDA. 08:41 PLEASE CONTACT US FOR MORE INFORMATION. 08:43 ONE LEVEL IS JUST HARD TO TAKE YOUR EYES OFF OF IT. 08:53 TO BE ABLE TO BRING YOU TO THIS PLACE. 08:58 TO COME HERE YOURSELF AND EXPERIENCE ALL OF THIS. 09:01 HERE WE ARE AT THE PLACE FROM WHICH THE LORD ROSE FROM THE DEAD SOME 2000 YEARS AGO. 09:07 IT'S A BEAUTIFUL GARDEN. 09:13 TO THE 19TH CHAPTER OF THE GOSPEL OF JOHN. 09:16 I WANT TO COMB THROUGH SOME TEXT HERE THAT TAKES US TO THIS VERY PLACE. 09:43 AND HE WAS GIVEN PERMISSION AND HE TOOK THE BODY. 09:58 THE PHARISEES NAMED NICODEMUS A RULER OF THE JEWS. 10:03 "RABBI, WE KNOW THAT YOU ARE A TEACHER COME FROM GOD." 10:14 THE ITINERANT CARPENTER AS "RABBI"? 10:21 FOR NO ONE CAN DO THESE SIGNS THAT YOU DO UNLESS GOD IS WITH THEM." 10:29 BUT ARGUABLE AT ONE LEVEL NOT ENOUGH. 10:47 RIGHT HERE AT THIS VERY PLACE, ARGUABLY. 10:56 AND JESUS WAS DEPOSITED IN THE TOMB. 10:59 THEN THE RESURRECTION STORY UNFOLDS. 11:07 WHILE IT WAS STILL DARK AND SAW THAT THE STONE HAD BEEN ROLLED AWAY. 11:18 WHERE A STONE WOULD HAVE BEEN PLACED. 11:23 A LITTLE INDENTATION IN THE STONE DOWN THERE, A TRACK THAT THE ROUND STONE WOULD RUN UPON. 11:31 WELL, MIRIAM COMES AND DISCOVERS THAT THE STONE HAS BEEN ROLLED BACK. 11:36 IN THE WAKE OF WHICH IN VERSE 2 WE'RE TOLD THAT SHE RAN. 11:43 "THEY HAVE TAKE AWAY THE LORD OUT OF THE TOMB AND WE DO NOT KNOW WHERE THEY HAVE LAID HIM." 11:49 PETER RAN OUT AND THE OTHER DISCIPLE AS WELL AND THEY FOUND IT TO BE THE CASE. 12:09 BUT FOLDED TOGETHER IN A PLACE BY ITSELF. 12:14 THE DISCIPLES COME AND THEY CHECK IT OUT AND FIND IT TO BE JUST AS THE WOMEN HAD SAID. 12:19 THEN THE OTHER DISCIPLE, JOHN, CAME TO THE TOMB AND HE WENT IN AND SAW AND BELIEVED. 12:27 SO WE HAVE HERE THE STORY OF THAT EASTER SUNDAY MORNING. 12:33 WE'RE TOLD THAT MEMBERS OF JUDAISM'S ELITE BURIED JESUS TO GIVE HIM A DIGNIFIED CLOSURE. 12:41 BUT THAT WASN'T THE END REALLY, THAT WAS JUST THE BEGINNING. 12:44 IT'S LIKE YOU TAKE A SEED AND YOU PUT IT IN THE EARTH, THAT'S NOT THE END IS IT? 12:50 NO, BECAUSE THE SEED SPRINGS UP AGAIN. 13:10 WHICH IN TURN FALL INTO THE EARTH AND CREATE OTHER PLANTS AND THE GARDEN GROWS. 13:16 AND IS NOT THAT THE STORY OF THE MESSIAH WHO ROSE FROM THE GRAVE FROM THIS PLACE? 13:21 AND NOW THE WORLD OVER THERE ARE PEOPLE THAT BEAR HIS NAME. 13:30 A PARTICULAR KIND OF TESTIMONY IN AS MUCH AS THE GOSPEL IS A JEWISH STORY. 13:39 ALL THE ACTORS IN THE DRAMA WERE WOMEN AND MEN OF JEWISH EXTRACT. 13:47 AND HIS FOLLOWERS WERE ALL OF JEWISH EXTRACT. 13:51 WHAT HAPPENS IS THE STORY, THE GOSPEL, SPREADS BEYOND JUDEA. 13:54 BUT WE LIVE IN A DAY AND TIME WHERE THE GOSPEL IS COMING RIGHT BACK TO THIS VERY PLACE. 14:02 FASCINATING.SO PLEASED TO REPORT THAT STORY. 14:11 IS A STORY THAT ISN'T FOUND EXCLUSIVELY IN THE JOANIN TEXT IN THE GOSPEL OF JOHN. 14:31 HE WILL BRING OTHERS BACK TO LIFE WITH HIM MUCH AS HE RISES FROM THE GRAVE. 14:38 MARY STOOD OUTSIDE THE TOMB WEEPING. 14:45 AND SHE SAW TWO ANGELS IN WHITE SITTING THERE. 14:50 THEN THEY SAID TO HER IN VERSE 13, "WOMAN, WHY ARE YOU WEEPING?" 14:59 AND WE DON'T KNOW WHERE THEY HAVE TAKEN HIM." 15:04 AND JESUS WAS STANDING THERE BUT SHE DIDN'T KNOW THAT IT WAS JESUS, AT LEAST NOT YET. 15:10 THEN HE SAID TO HER, "WOMAN, WHY ARE YOU WEEPING? WHOM ARE YOU SEEKING?" 15:22 "I DON'T KNOW WHERE THEY'VE TAKEN THE LORD, I DON'T KNOW WHERE HE IS." 15:26 THEN IN VERSE 16 HE SAID THE WORD.JESUS SAID TO HER, "MIRIAM", MARY. 15:43 AND HERE WE FIND IN THE TEXT WHICH IS TO SAY "TEACHER". 15:54 WHAT THIS JEWISH STORY IS ALL ABOUT. 15:58 HE WOULDN'T NEED TO EXPLAIN TO THEM WHAT THE WORD "RABBI" MEANS. 16:01 BUT HERE WHAT HAPPENS IS THAT JESUS SEES MARY AND HE SAYS "MIRIAM", MARY. 16:10 THEN SHE TURNS AND LOOKS AT HIM AND DAYS "RABONNI". 16:14 VERY SEMITIC ISN'T IT--VERY JEWISH, VERY AFFECTIONATE. 16:33 HER WORLD HAD JUST SPUN AROUND 360 DEGREES AND SHE WAS DIZZY FROM IT ALL. 16:38 BUT THEN SHE HEARD THAT VOICE AND SHE TURNED AND REFOCUSED ON JESUS. 16:56 AND YOU'D BE MINDED TO SAY "RABONNI, JESUS, MY TEACHER?" 17:07 THAT YOU'LL MAKE YOUR WAY TO A GOOD BIBLE BELIEVING FELLOWSHIP WHERE THE GOSPEL IS TAUGHT. 17:12 I LOVE THE GOSPEL. 17:14 I LOVE IT FROM A JEWISH PERSPECTIVE, BY THE WAY. 17:16 I BELIEVE THAT JESUS WAS JEWISH, THE DISCIPLES WERE JEWISH, IT'S JUST JEWISH THROUGH AND THROUGH. 17:27 NON JEWISH, AND EVENTUALLY IT EVEN SEEMED TO BE ANTI JEWISH. 17:41 THE CHURCH HAS LOST ROOTS OF ITS JEWISH FAITH, LOST A VISION FOR THAT. 18:00 PREDICTED WAS IT THE MESSIAH WOULD RISE AGAIN FROM THE DEAD. 18:18 IF YOU HAD BUT ONE WORD TO DESCRIBE ISRAEL WHAT WOULD THAT ONE WORD BE? 18:30 SABABA, WHICH MEANS 'AWESOME'." 18:34 "LOVE, THE LOVE OF GOD." 18:48 THAT'S ISRAEL, THAT'S HOW WE SEE IT, WE LOVE ISRAEL. 18:59 YOU NEED TO SEE JERUSALEM. 19:01 JEFF, IT'S JUST WONDERFUL AND WE LOVE IT! 19:03 IT SURELY IS AND NOT FAR FROM JERUSALEM IS A PLACE CALLED "QUMRAN". 19:09 THE LAST TRIP WE VISITED THERE. 19:11 I REMEMBER IT WELL. 19:26 AND THERE I WAS LOOKING AT ISAIAH CHAPTER 53. 19:36 SOMETIME AROUND THE TIME OF JESUS' LIFE AND MINISTRY. 19:39 PROFESSOR WEIS CONTENDS THAT THESE TEXTS REFER TO THE MESSIAH. 19:49 THEY'VE READ MESSIANIC PROPHECY, THEY DON'T SAY THIS LIGHTLY. 19:54 THEY KNOW MESSIANIC PROPHECY VERY WELL. 19:56 THEY COPIED A WHOLE BOOK OF ISAIAH FOR EXAMPLE. 19:58 NOW WHAT OTHER MESSIANIC SCROLLS HAVE YOU FOUND? 20:02 THIS IS THE FRAGMENT THAT HAS GOTTEN SOME ATTENTION. 20:17 THE ROOT OF JESSE, OF COURSE, JESSE THE FATHER OF DAVID. 20:22 WHICH WAS OF COURSE OFTEN A MESSIANIC WAY OF REFERRING TO FUTURE FIGURES. 20:27 IT HAD TO BE A SON OF DAVID IN ORDER TO QUALIFY AS THE MESSIAH. 20:31 IT GOES ON TO SAY..
20:39 WHOEVER HE MAY BE MUST BE OUT OF THE FAMILY OF DAVID. 20:42 THAT'S RIGHT, AND THE PEOPLE KNEW THAT. 20:44 SO ANYONE THEY WOULD DESCRIBE AS MESSIAH HAD TO QUALIFY IN THAT WAY. 21:05 REFER TO THE MESSIANIC SON OF DAVID FIGURE. 21:07 SPEAKING OF THE MESSIANIC FIGURE HERE, WHO'S EVIDENTLY BEING PUT TO DEATH. 21:11 NOW THAT IS VERY, VERY IMPORTANT FOR US. 21:14 AND ESPECIALLY AS THE NEXT LINE THROWS A LITTLE MORE LIGHT ON IT. 21:25 AND WE DON'T KNOW WHAT FOLLOWED AFTER, AGAIN IT'S BROKEN. 21:28 PIERCINGS AS IN "THEY SHALL LOOK UPON HIM WHOM THEY HAVE PIERCED". 21:30 THAT'S RIGHT THEY SHALL LOOK UPON HIM WHOM THEY HAVE PIERCED AND IT'S THE SAME HEBREW VERB. 21:40 OF THE BOOK OF ISAIAH AND APPLYING THEM TO A FIGURE. 21:47 APPLYING IT TO A MESSIANIC FIGURE OF THE TIME. 21:59 WAS UNDERSTOOD MESSIANICALLY AMONG THE JEWS AT THE TIME OF JESUS APART FROM THIS TEXT. 22:07 UNDERSTOOD THAT TEXT TO REFER TO JESUS. 22:09 SO THEY HAD A MESSIANIC UNDERSTANDING OF THAT PORTION OF ISAIAH. 22:27 BUT RATHER TO THE NATION OF ISRAEL AS THE SUFFERING SERVANT. 22:30 THAT'S USUALLY THE ANSWER IF ONE IS TRYING TO PROVE THAT PASSAGE TO BE CHRISTOLOGICAL TO A JEW. 22:36 HE SAYS, "MY RABBI SAID THAT'S THE NATION OF ISRAEL, THAT'S GOD'S SERVANT." 22:43 THOUGHT THIS APPLIED TO A MAN NOT A NATION. 22:47 AND IT SHOULD BE EMPHASIZED THAT THIS IS ONE WAY OF INTERPRETING THE SCROLL. 22:49 SCHOLARS ARE GOING TO BE WRITING ABOUT THIS SCROLL AND MANY OTHERS FOR MANY YEARS. 22:53 THERE IS VERY LITTLE THAT'S ABSOLUTELY STRAIGHT FORWARD AS WE STUDY THESE MATERIALS. 22:58 AM I COMPLETELY CRAZY TO SAY THAT THIS IS ONE OF THE GREAT FINDS OF MODERN TIMES? 23:02 THAT PEOPLE ARE GOING TO TALK ABOUT OUR CENTURY AS THE TIME THE DEAD SEA SCROLLS CAME OUT? 23:08 I DON'T BELIEVE THAT'S AN EXAGGERATION AT ALL. 23:16 ESPECIALLY THESE MESSIANIC TEXTS. 23:18 WELL WE HAVE ANOTHER MESSIANIC TEXT IF YOU WOULD LIKE TO LOOK AT THAT ONE. 23:42 THAT IS THE MESSIAH OF GOD, HIS MESSIAH. 24:01 WHICH GOES ON TO QUOTE PORTIONS AGAIN OF ISAIAH. 24:03 WE HAVE HERE DOWN IN THIS LINE A REFERENCE TO..
24:14 LITERALLY "MAKE TO LIVE THE DEAD". 24:17 SO THIS IS PECULIAR ONLY OF JESUS IF THE GOSPEL IS BELIEVED. 24:27 APART FROM THE CHRISTIAN GOSPEL THAT THERE WOULD BE A MESSIAH WHO'D RAISE THE DEAD. 24:38 ♪TAKE HIS SON, HIS SON, ♪HIS ONLY SON. 24:46 ♪OF THY FAITH, THY FAITH ♪THAT IT IS DONE. 24:54 ♪THE BLESSED ONE, ♪HIS ONLY SON. 25:02 ♪AND ALWAYS PRAY ♪SHA'ALU SHALOM. 25:45 AND SO EXPLICITLY GIVE CREDENCE TO THE ISAIAH TEXT IS FASCINATING. 25:50 IT IS FASCINATING.AND WHAT IS FASCINATING IS HE'S NOT A BELIEVER. 25:53 BUT IF YOU WATCH THE SEGMENT IT LOOKS LIKE HE REALLY BELIEVES THERE'S A MESSIAH. 25:59 WELL THEN HE BELIEVES THAT THEY BELIEVED THAT THE TEXT HAD A MESSIANIC GLOSS TO IT. 26:06 THAT OTHER PEOPLE INTERPRET IT AS BEING "THE LAND OF ISRAEL". 26:10 IT DOESN'T TALK ABOUT THE LAND IT TALKS ABOUT A PERSON, THE PERSON OF MESSIAH. 26:19 COME AROUND AND DEVELOP AN APPRECIATION FOR JESUS IN THE BIBLE. 26:25 WE BELIEVE THAT THE MESSIAH HAS COME AND HIS NAME IS JESUS. 26:32 FOR ALL OF US COMING TOGETHER HE IS OUR PEACE ISN'T HE? 26:36 HE'S OUR PEACE, OUR SHALOM. 26:38 BUT YOU KNOW HE IS OUR ONE AND ONLY ATONEMENT. 26:42 WE NEED NO OTHER ATONEMENT, NO OTHER SACRIFICE.HE IS THE ULTIMATE SACRIFICE. 26:49 AND IT'S JUST A BLESSING.THANK YOU AGAIN FOR WATCHING. 26:51 THANK YOU FOR YOUR SUPPORT AND SHA'ALU SHALOM YERUSHALAYIM PRAY FOR THE PEACE OF JERUSALEM.